분선충(Strongyloides stercoralis)은 제가 가장 무서워하는 기생충입니다. 환자가 죽을 수 있기 때문입니다. Hyperinfection syndrome이라고 합니다. 분선충(Strongyloides stercoralis)은 특이한 선충입니다. (1) 인체감염 선충 중 그 크기가 가장 작습니다. mm 단위 이하입니다. (2) 자유생활세대 (free-living generation)를 가집니다. 즉 흙에서 스스로도 잘 살아갑니다. (3) 피부를 통해 침입합니다. (4) Autoinfection이 가능합니다. 대부분의 선충은 충란 하나를 먹으면 몸 속에 한 마리의 기생충이 생깁니다. 그러나 분선충은 인체의 면역력이 약하면 자가감염을 통하여 무한증식할 수 있습니다. 기생충이 무한증식하니 환자가 죽게되는 것입니다. Autoinfection 때문에 환자가 죽을 수 있는 또 다른 기생충은 장모세선충 (Capillaria philippinensis)입니다. 가장 중요한 특징은 크기가 작다는 것입니다. 거의 눈에 보이지 않습니다. 0.5-2mm 크기이면서 매우 가늘기 때문입니다. 회충은 30cm이고 요충이나 편충은 2-4cm 라는 것을 생각해 보면 얼마나 작은지 알 수 있습니다. 아래 그림에서 그 크기를 비교해 보십시요. 분선충이 눈에 보이기나 합니까? 따라서 크기로 대강 감별할 수 있습니다. 보통 감염되더라도 증상이 없는 경우가 많습니다. 드물게 위장관 궤양을 일으킬 수 있습니다. 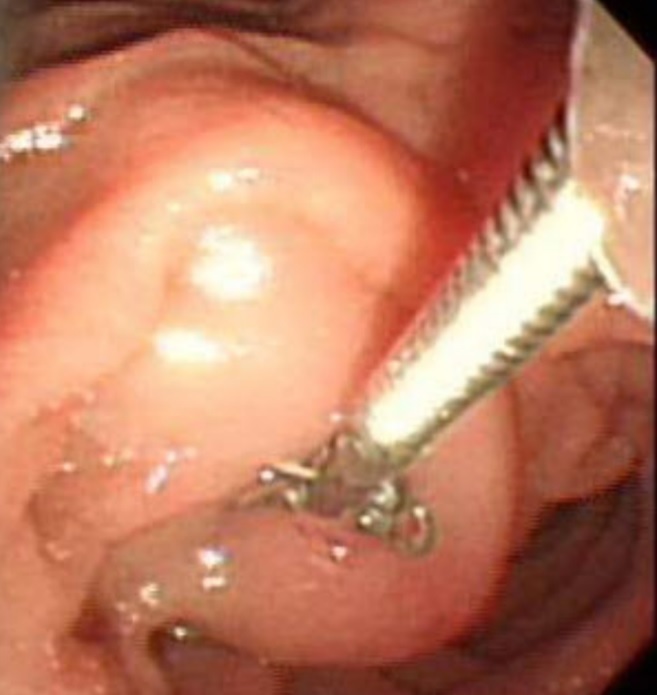 Researchers describe a nearly missed case of Strongyloides infection in the April issue of Gastroenterology, had it not been for analysis of duodenal biopsies. Douglas Grunwald et al describe the case of a 74-year-old Jamaican-born woman with a 3-month history of dyspepsia, nausea, bloating, early satiety, and weight loss of 40 lbs. In the past, she had been infected with Helicobacter pylori and Strongyloides, both of which were treated; she also had a history of acid reflux, diabetes, and hypertension. Her medications included metformin, simvastatin, and losartan. An abdominal computed tomography (CT) scan showed signs of endometrial cancer. She subsequently had an uncomplicated abdominal hysterectomy. However, she continued to have nausea, anorexia, and failure to thrive. On readmission to the hospital 15 days after surgery, a CT scan showed small bowel hyperenhancement, edema, and anasarca. 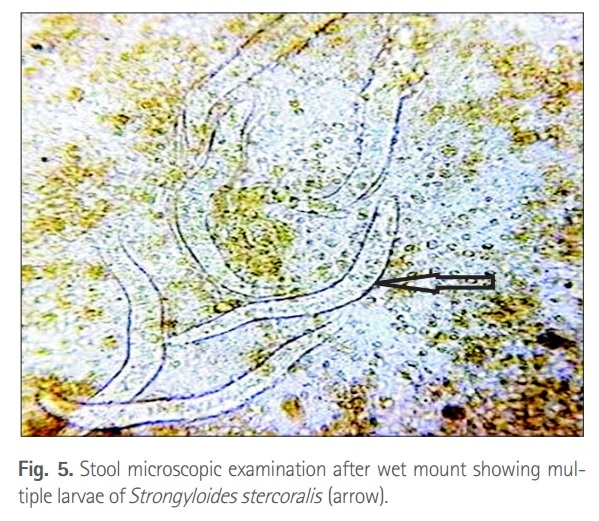 Tests of stool for Strongyloides ova, parasite, and antibodies all gave negative results. The physicians performed an esophagogastroduodenoscopy and found large, geographic duodenal ulcers with brownish discoloration of the mucosa (arrows in figure A). She had not used nonsteroidal anti-inflammatory drugs and tested negative for H pylori. 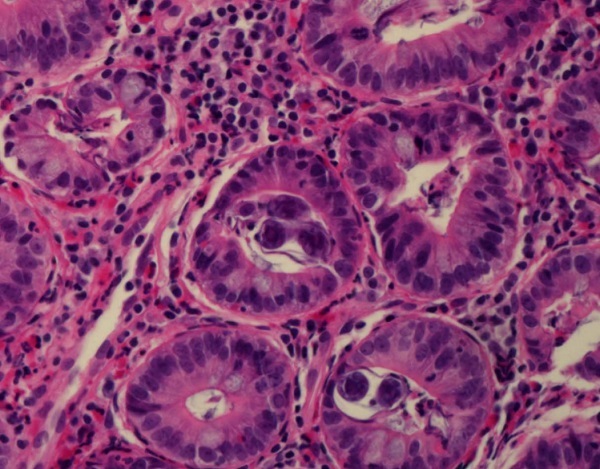 Duodenal biopsies revealed parasitic forms consistent with Strongyloides species (figure B). 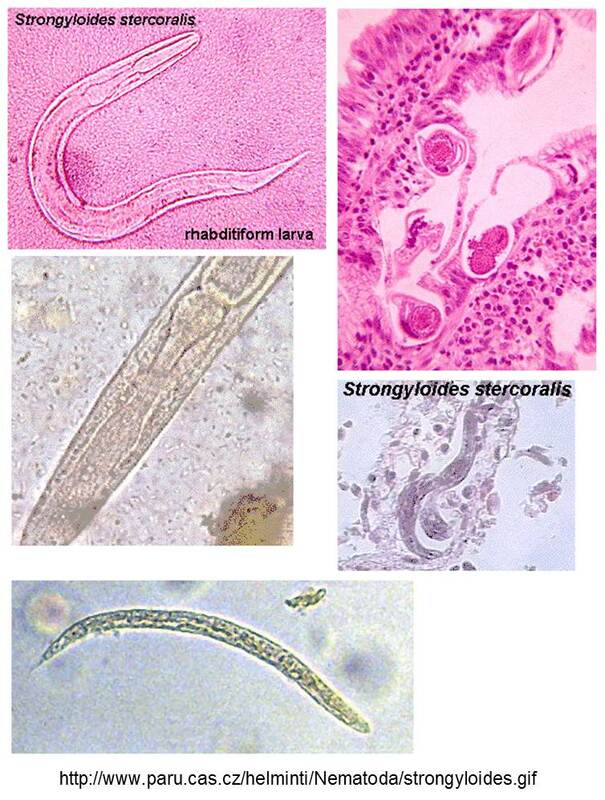 Strongyloides is a soil-transmitted helminth - its primary mode of infection is through contact with soil that is contaminated with free-living larvae. When the larvae come in contact with skin, they penetrate it and migrate through the body, eventually finding their way to the small intestine, where they burrow and lay their eggs. Unlike other soil-transmitted helminths like hookworm or whipworm, whose eggs do not hatch until they are in the environment, the eggs of Strongyloides hatch into larvae in the intestine. Most of these larvae are excreted in the stool, but some of the larvae molt and immediately re-infect the host either by burrowing into the intestinal wall or by penetrating the perianal skin. Gastrointestinal manifestations of Strongyloides infection include nausea, vomiting, anorexia, abdominal pain, and protein-losing enteropathy. 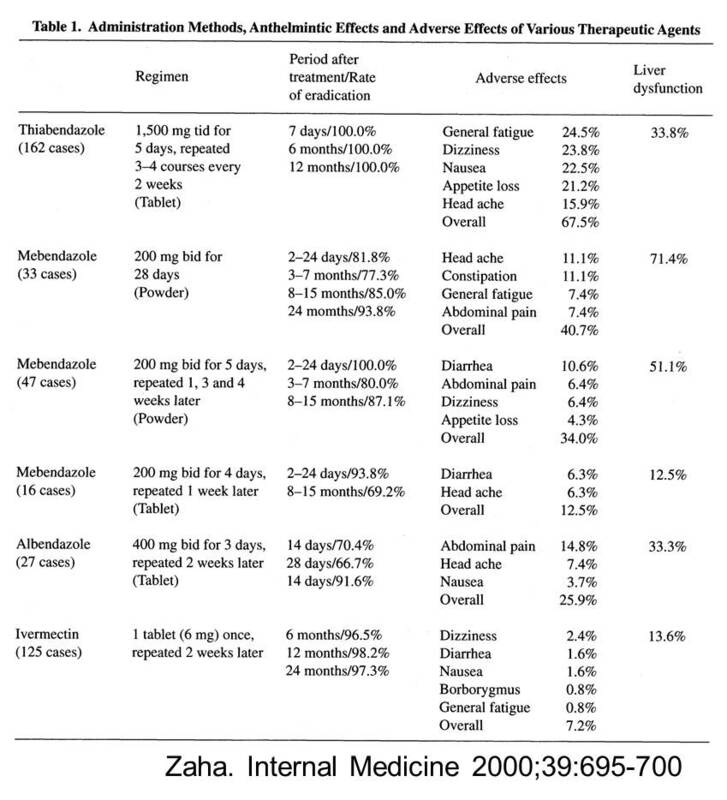 Patients are usually treated with anti-helminth drugs (eg, ivermectin, albendazole). The researchers say that they did not have positive results from stool studies or ELISAs for Strongyloidesserum antibodies because the sensitivity of repeated stool evaluation is around 50%, and sensitivity of the ELISA test is 65%-90%. Furthermore, the antibodies are often not detected in immune-compromised patients. 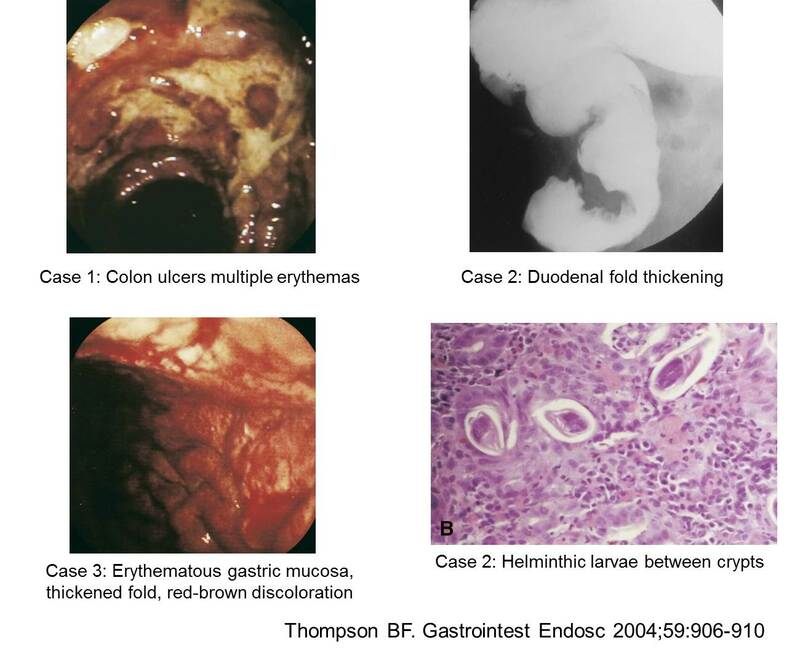 Grunwald et al state that the best way to detect this infection is by histopathology analysis of duodenal biopsies. 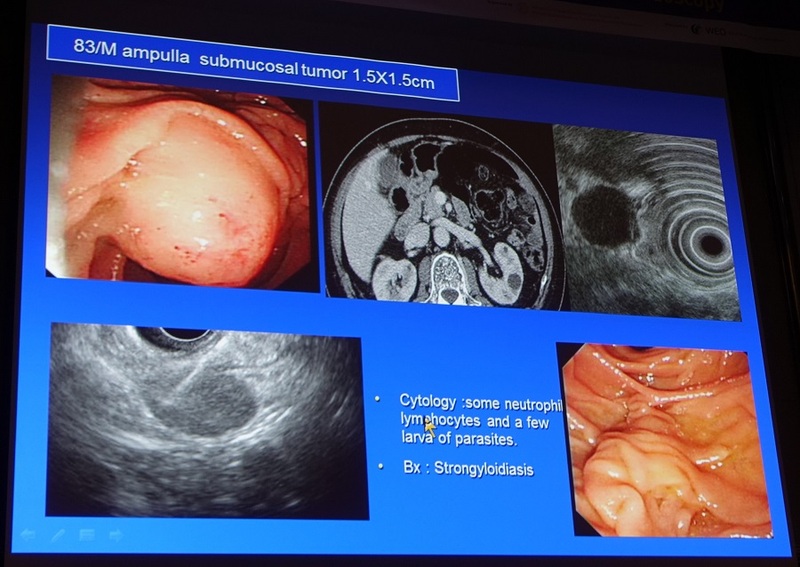 The endoscopic features of duodenal Strongyloides infection are broad and include edema, brown discoloration of the mucosa, erythema, subepithelial hemorrhages, and megaduodenum. These features are nonspecific and are also seen in patients with ischemic ulcers, users of nonsteroidal anti-inflammatory drugs, or patients with cancer or H pylori infection. 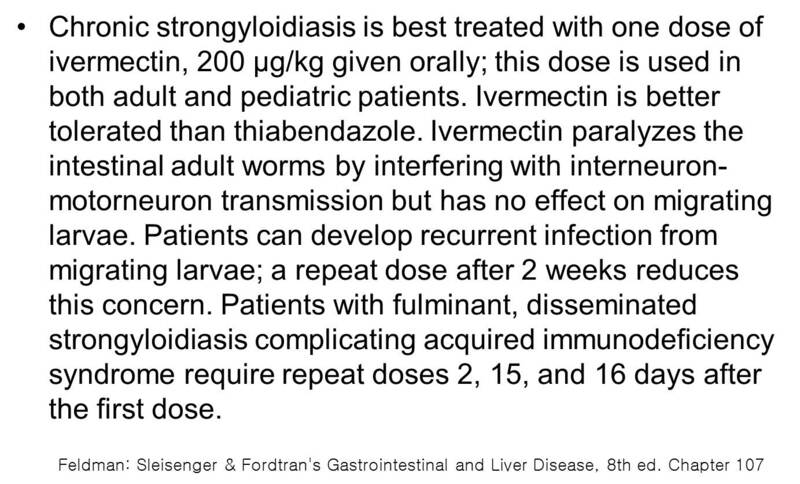 Due to the patient’s history of previous Strongyloides infection, the authors began treating her with ivermectin before pathologic confirmation of the parasite. 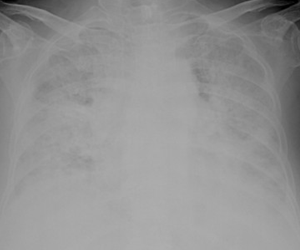 Grunwald et al say that the severity of the patient’s illness was likely precipitated by her recent malignancy and a new diagnosis of human T-lymphotropic virus (HTLV-1) infection, which is endemic to the Caribbean and commonly observedin combination with Strongyloides. The authors propose that HTLV-1 disrupts the ability of T cells to detect and eliminate Strongyloides. The patient was treated successfully with an extended regimen of ivermectin and nutritional support. Four months after treatment, her weight was stable, her albumin level increased, and a repeat esophagogastroduodenoscopy showed normal duodenal mucosa. 2013년 6월 11일 내시경학회 집담회에서 십이지장 SMT 형태로 나타난 분선충증에 대한 발표가 있었습니다 (성모병원 증례). SMT로 발현한 분선충증은 처음 보았습니다. 스테로이드나 항암제에 의하여 면역력이 떨어지면 무한 자가증식하여 hyperinfection syndrome이 발생합니다. 전신에 분선충 유충이 퍼지는 hyperinfection syndrome의 사망률은 100%입니다. 그래서 무섭습니다. 분선충증은 충란으로 진단할 수 없습니다. 대변, 십이지장벽, 가래에서 유충을 관찰하여 진단합니다. 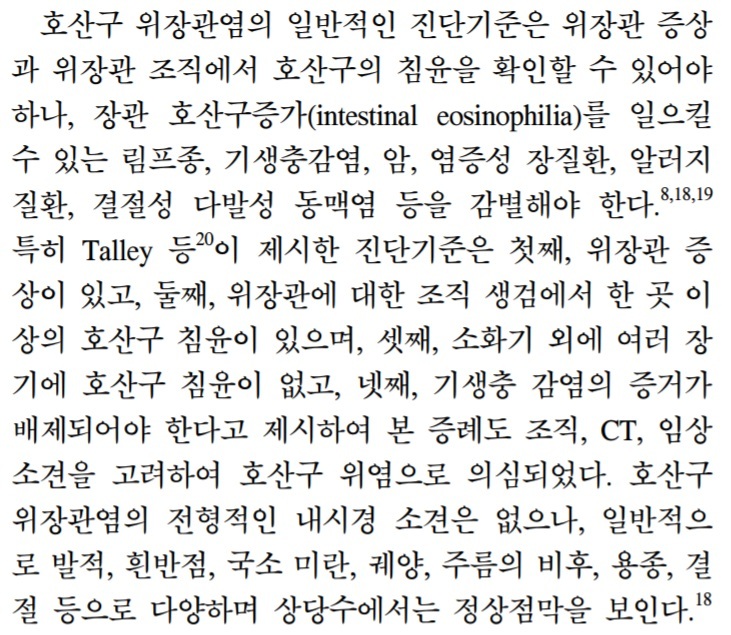 2016년 1월 American Journal of Gastroenterology에 설사, pseudomelanosis duodeni로 발현한 분선충증 증례 임상화보가 실렸습니다. 대변 검사에서 분선충이 확인된 드문 경우입니다. 말로만 들었지 대변에서 분선충이 나온 임상화보는 처음 보았습니다. 조직검사로 진단한 경우가 더 많았거든요. 치료효과는 thiabendazole이 가장 좋은데 부작용이 많다는 단점이 있습니다. 현재의 treatment of choice는 ivermectin으로 정리된 것 같습니다. 95% 이상 효과가 있으면서 부작용의 빈도는 훨씬 낮습니다. 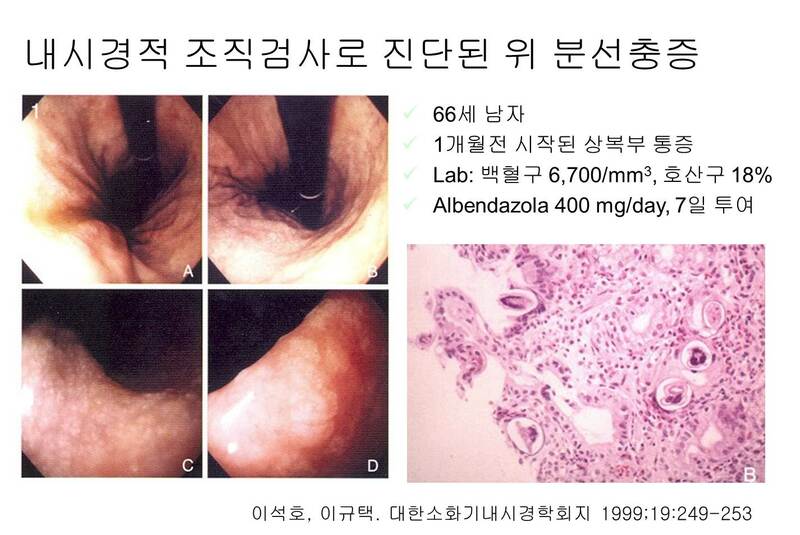 여러분이 많이 보시는 emedicine.medscape.com에는 "Ivermectin (Stromectol). Binds to glutamate-gated chloride ion channels in invertebrate nerve and muscle cells. Increased permeability of the cell membrane occurs with hyperpolarization, resulting in paralysis and death of the parasite. Effective against adult intestinal strongyloides. Cure rate is 97% with 2-day course. Case reports have been made of successful SC injection of ivermectin in patients unable to achieve adequate serum drug levels after oral administration"라고 되어 있습니다. 2) Spectrum of chronic small bowel diarrhea with malabsorption in Indian subcontinent: is the trend really changing? 인도에서는 생각보다 기생충증이 아직도 중요한 부분을 차지하고 있었습니다. 분선충 (Strongyloides stercoralis)도 흥미롭습니다.